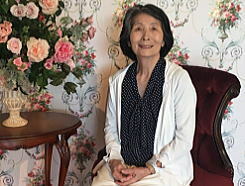 Click here to access the Japanese page. 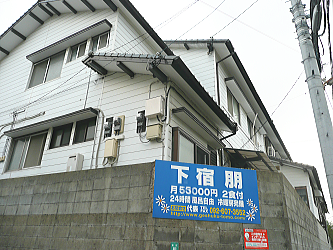 We are a boarding house by the sea in Wajirohigashi with over a 40-year history of service and hospitality. With a scenic view of the nearby Mitoma beach, we are comfortably close to a large number of schools, including both the Fukuoka Institute of Technology and Kyushu Sangyo University. There are currently around 40 residents sharing the space at Geshuku Tomo. Here, high school students and those preparing for their entrance exams live alongside college students and everyday people of all ages, genders and nationalities. We accept applications from anyone looking to call Geshuku their home. Geshuku is not just a home; we also offer our services as a hotel for those looking to stay for just a few nights as they explore Kyushu. 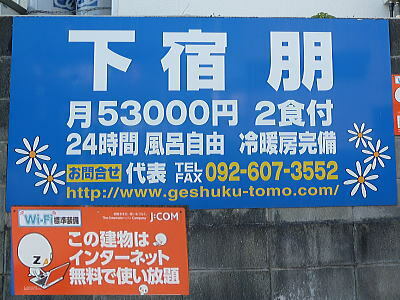 Whether its a business trip or a short adventure, Geshuku Tomo is a very reasonably-priced and comfortable place to stay! Please, come pay us a visit. We very much look forward to meeting you. Monthly rent includes a delicious breakfast and dinner served daily. Internet is also included. Monthly electricity expenses are separate. You must deposit one month's worth of rent. There are no other additional security deposits, finder's fees or renewal charges. Hello, I'm the owner of Geshuku Tomo, and everybody here calls me Okaa-san (Mother). My hobby is cleaning Shinto shrines. 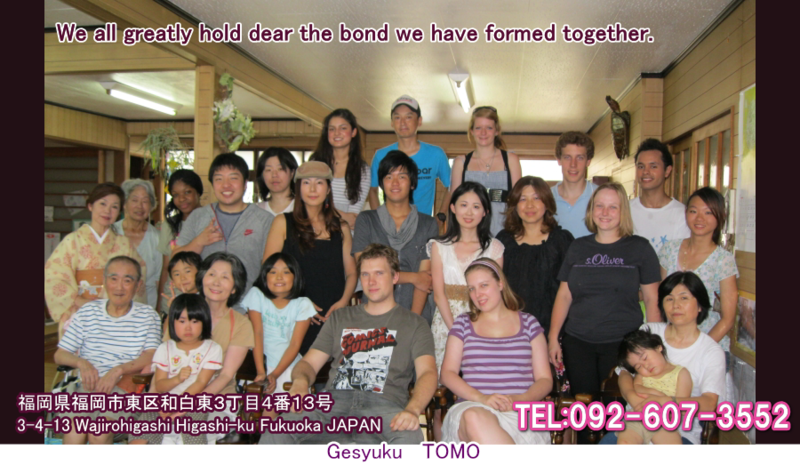 Recently, we have had an increasing number of individuals from nearby countries come to use Geshuku Tomo as their home base while they study Japanese culture, history and arts. Among them are many adults focused on their studies, but also high school, middle school and even elementary school students. We therefore represent the intersection of a varied crossroads of people, who each come bearing plentiful and different perspectives born from their particular walk of life. Because of this, I have the privilege of assisting our tenants in getting to know one another and widening each other's point of view. This involves creating an atmosphere that accepts these differences in perspective, and allowing for the inevitable exchange of multicultural and multi-generational words, feelings and ideas that will occur in Geshuku Tomo.